Our Pitbull bracelets are truly beautiful! They are handmade in the USA. 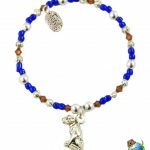 Each bracelet features silver, cobalt blue, and light brown crystal beads. A pewter dog charm and a made with love tag tops off the look of the bracelet. 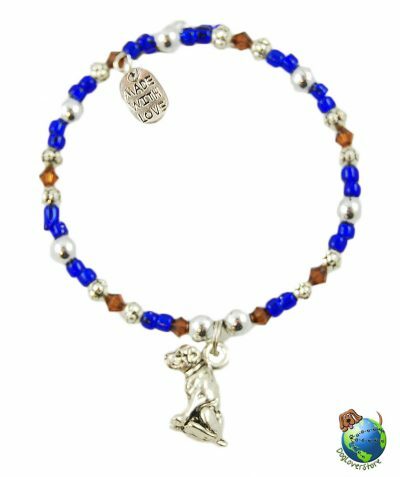 High quality beads and a pewter dog charm makes these bracelets a wonderful gift idea. Plus, you don’t have to worry about getting the right size. Each bracelet is adjustable and easily wraps around your wrist. The best thing about these bracelets? 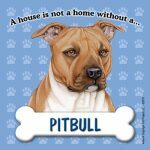 5% of each sale will be donated to the Pitties and Pals Rescue group, which is a part of the Jersey Shore Animal Foundation. You can gift this charming bracelet and help save a life too! Enter code “Rescue” during checkout to receive 5% off your order that will be donated.